Today we will examine 5 small bathrooms that appear larger than they really are. We'll explore methods and ideas, trying to determine how we can work within a limited area to give an impression of more space. Lighting, as always, plays a very important role in how we perceive space. With the correct use of mirrors and windows, and the alternation between natural light and artificial light sources, we can help create a seemingly larger environment. Intrigued to learn more? Then read on! 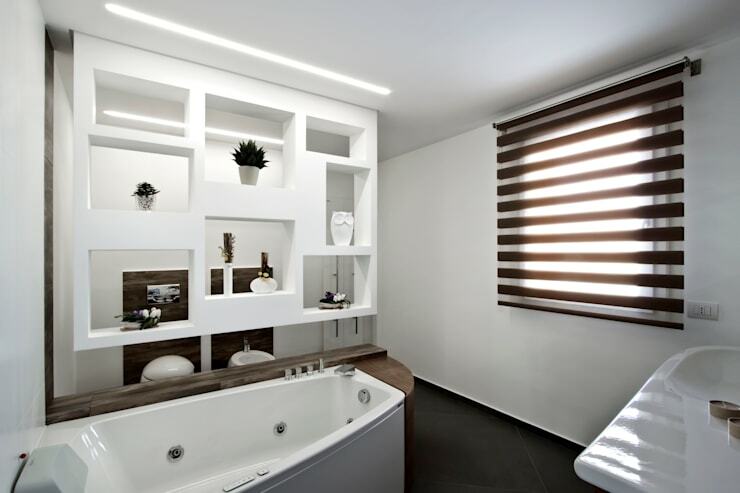 Wall surfaces are important if one wishes to give life to a bathroom environment, and to make it seem larger than it actually is. Rich colour patterns and depths, as seen in this project from Mob Architects, are effective in bringing the space to life and expanding it naturally beyond its physical boundaries. White is the classic colour choice for bathtubs, and also the main hue for most bathroom walls. It is always effective because it is neutral and highly reflective. 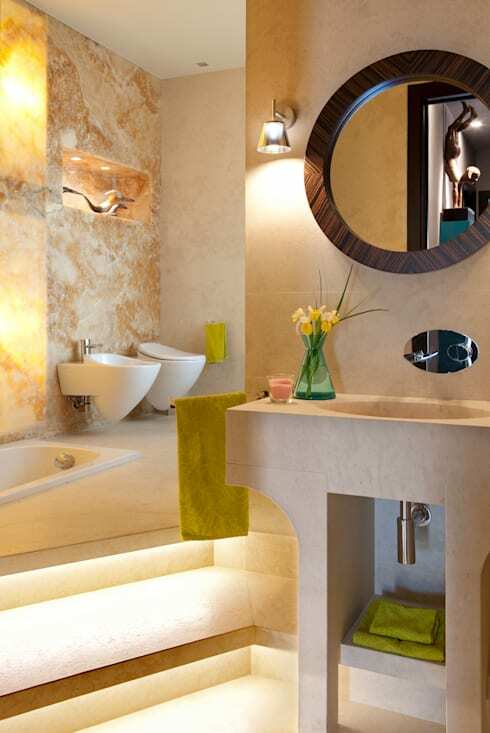 In a small bathroom, however, it can also be very helpful to mix in some darker colours to offer contrasts and new vanishing points. 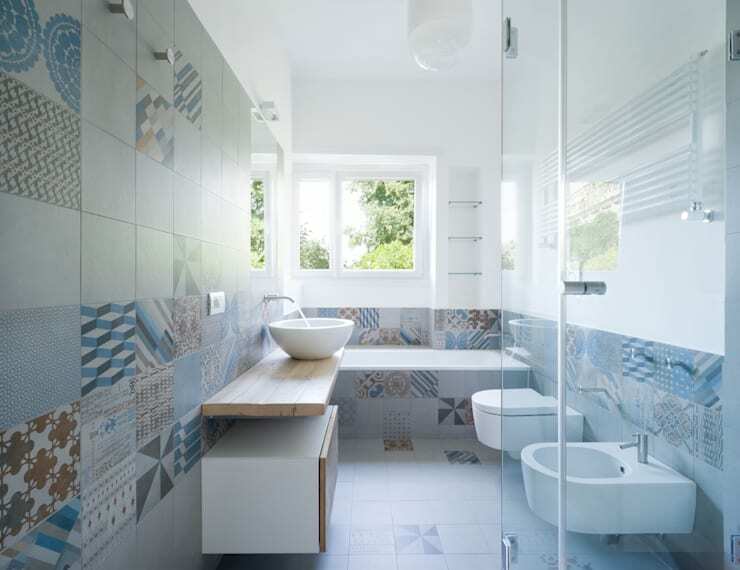 Surface design and geometric patterns help make this bathroom look bigger. 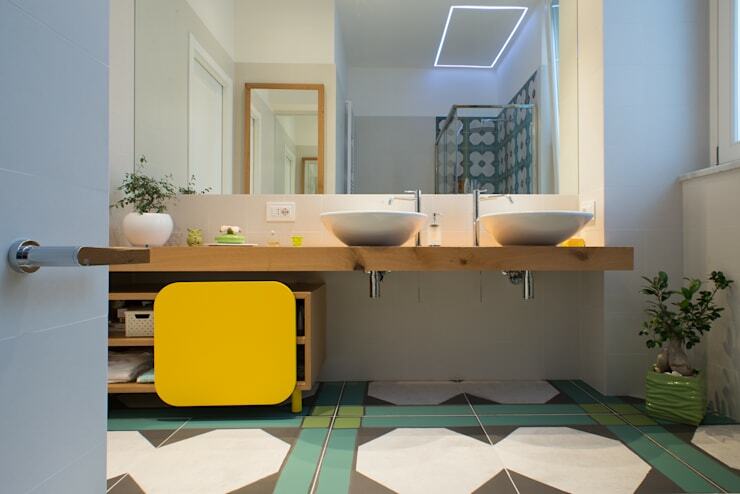 The colour alternation, presence of wood and choice of simple and compact lines, combined with the transparency of the shower cubical, keep everything airy and bright. The composition of the rich geometric pattern allows the floor to expand beyond its physical limits, and create the perception of more space. A good plumber is always needed when moving sinks and toilets. Find what you're looking for here. 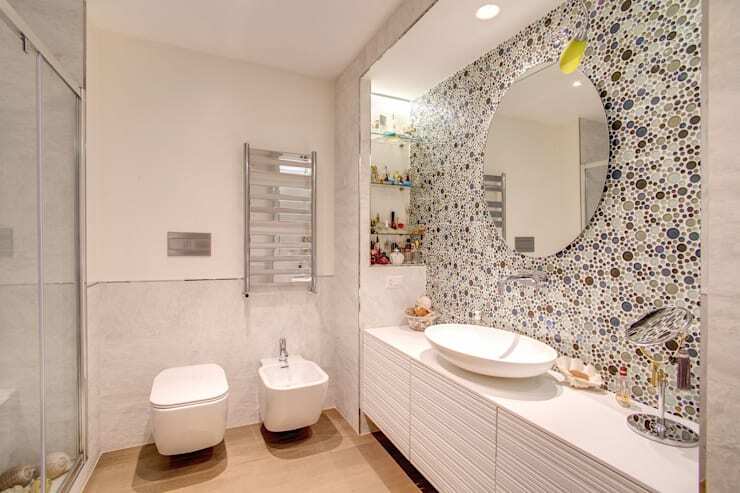 The use of mirrors is often the secret behind increasing a room's sense of space. Their presence, as we see here, instantly makes the environment more airy. The use of reflective surfaces and targeted lighting switches the emphasis of slopes and surfaces, as if to multiply lines and keep the eye busy. Interested in finding out more on this subject? We have plenty more small bathroom solutions here!